by Andy Higgs in Europe, Features, Germany, Home, Places. It’s the obvious one, but needs including anyway. 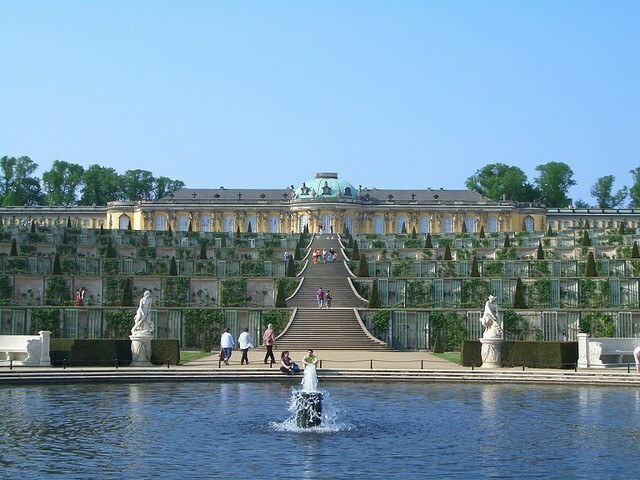 When Frederick the Great wanted to escape his formal life in Berlin he headed to his summer palace in Potsdam. It’s well worth doing the same, even though the characteristics of the two places have switched since his days. Now it’s Potsdam that is the rather staid neighbour to the wilder city of Berlin. But the Palace of Sanssouci is just a short train journey from Berlin and the superb building in its 700 acres of ornate royal gardens are both UNESCO World Heritage Sites. The Old Town of Potsdam has charming cobblestone streets in its Dutch Quarter with cafes, shops, and bakeries. If you wander through the Park Babelsberg you can also visit the most eponymous film studio – the most important in German film history. About 60km east of the German capital is the small spa town of Bad Saarow on the shore of a large lake with farmland and hills as far as the eye can see. 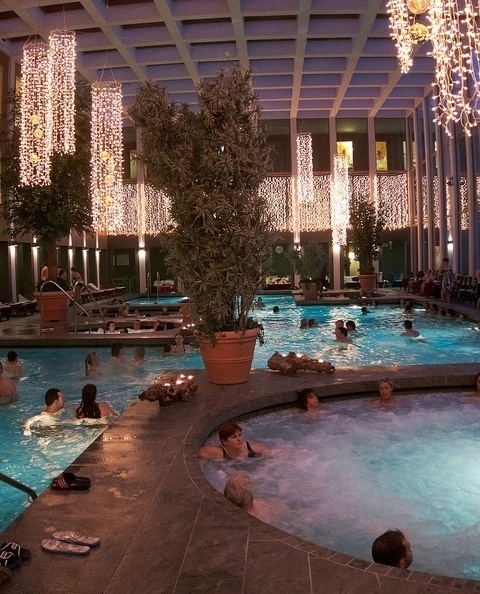 The salt-water spa is a high-tech affair and one of the best in Germany. After luxuriating in the waters and being pampered to your heart’s content make sure you try the regional cuisine on offer in the traditional restaurant ‘Die Buhne’ next to the railway station. The atmosphere is authentic 1920’s and the food is superb – indeed it has quite a reputation for being one of the best German restaurants in the country. Bad Saarow is also great for sports enthusiasts – there are plenty of opportunities for sailing, diving, golf, horse riding and hiking. Image obtained from Flickr.com under Creative Commons (c) Jonas K.
The Olympic Village for the 1936 summer games was built on the western edge of Berlin. The plan was for the village to convey an impression of the inner being of the German people through landscaping and architecture. In an effort to familiarise visiting athletes with German geography the 145 living quarters were arranged according to the map of the country and named after German cities. After the Olympics the buildings were used as an army barracks – first by the Wehrmacht, then after 1945 by the Soviet forces in Germany. 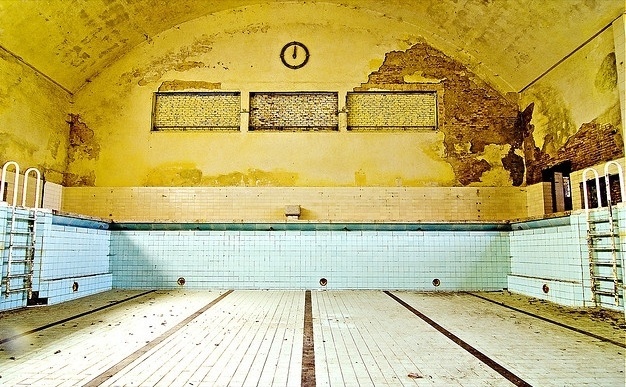 The houses have been empty since 1994 and largely left to rot – only 25 of the 145 original buildings remain, including the dilapidated swimming pool, gym, dining hall and theatre. Register with the Historia Estal association for its guided walking tours. Wandlitz is a quaint and typically German town just a short train ride from Berlin. As well as its more traditional charms it also has its own darker past – there are infamous locations from World War II and the Cold War within easy reach. Joseph Goebbels was given a large estate next to the lake of Bogensee for his lifetime use for his work as Minister for Propaganda under Hitler. He used to spend his summers here with his family; in 1946 the DDR youth organization took it over and turned it into a youth academy. Next door is a fortress-like building that was a political training school for youth organisation functionaries after 1951. Since 1999 the buildings have been empty and the state of Berlin is trying to find a buyer. 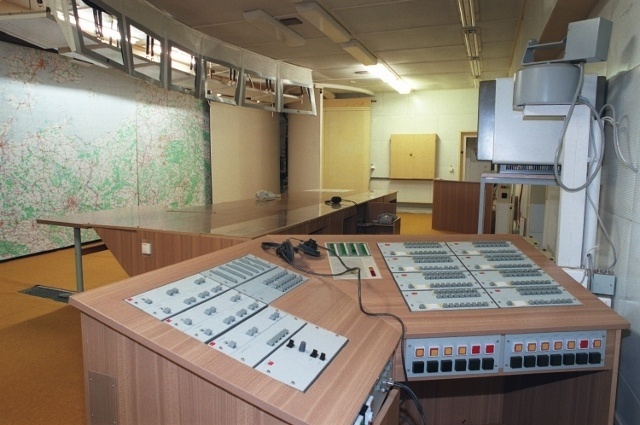 A few kilometers north-east of Wandlitz near Prenden, the biggest nuclear shelter of the DDR was built in 1988. Three storeys deep, the shelter was designed to house 17 members of the National Defence Council (including Erich Honecker) and 500 others. When built it was one of the most technologically advanced shelters in the world, with its most important rooms swinging freely from 7 cm thick steel ropes. The shelter is sealed off and unused these days. Strategically hidden in the forest northeast of the capital in the unassuming village of Harnekop is the best-kept secret of the Cold War secret. Here, at the end of a tiled road you’ll find object 16/102 – the nuclear shelter for the DDR Ministry of Defence. Built in 1976 in complete secrecy the bunker was built 30 metres into the ground. 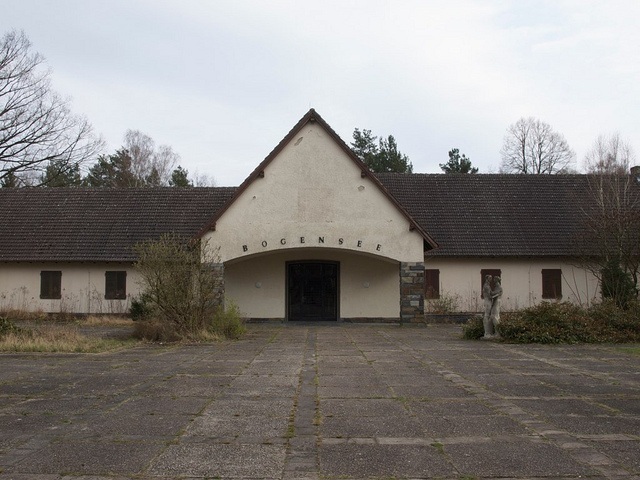 The plan was for the East German army to operate from here after a nuclear war – 455 men (no women were allowed) could have survived for up to a month protected by its 3 metre thick walls and 7 metre thick ceiling. The bunker at Harnekop was designed to withstand the impact of an atom bomb 200 times as strong as Hiroshima. Several kilometres of hallways connect about 150 rooms for the command and recreation areas. The bunker was never detected by NATO Intelligence and remained secret until it was revealed in 1990 after the reunification of Germany. The facility is preserved almost as it was in the 1970s and is open to visitors as a fascinating Cold War relic. 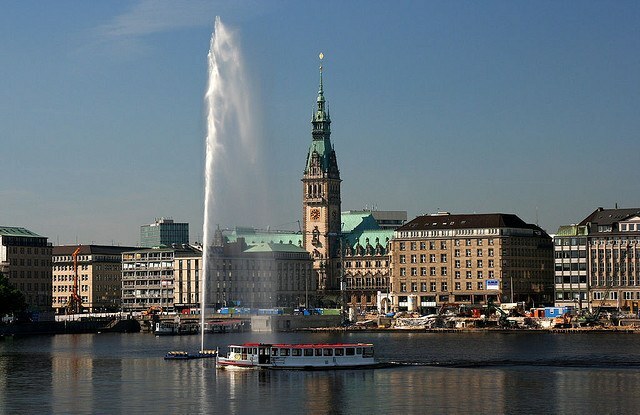 In just one and a half hours on the train you can be in Hamburg and spend a day in this city with a split personality. To foreigners it’s perhaps most notorious for its red-light district but Germans know it as a stylish and cosmopolitan place. Both views are valid and the reason for the dichotomy is to be found at the waterfront – Hamburg’s huge freeport has been a source of wealth and vice in equal measure since its establishment. These days the city is booming; yet despite a population of nearly 1.8 million, Hamburg has the lowest population density of any European city and its canals – crossed by more bridges than Venice, Amsterdam and London combined – provide space between the tower blocks. While most attractions are found in the city centre you should explore its outer residential districts of St Georg, the upmarket area around the Aussenalster lake, seedy St Pauli with its Reeperbahn and the up and coming Schanzenviertel. The nightlife in Hamburg is as good as you’ve heard, so plan on taking a late train back to Berlin. We hope you like these suggestions. If you think we’ve missed something please tell us in the comments section below! Oh, I so much want to go to Potsdam. I’ve heard that it is supposed to be really beautiful. I guess it would have been nicer to go there during summer, but maybe it is also possible now? Sure, it’s great in the autumn or even the winter too. There’s plenty to see whatever the weather, but on a crisp autumn day Sansoucci is wonderful (I visited in September). Enjoy!